There are 51 reviews of Davidoff Adventure. Not a bad spicy-woody scent, but nothing revolutionary nor memorable per se. Davidoff Adventure has a fresh, woody and light musk quality that seems to have been thought up before by many other companies, but it manages to retain its own identity that is okay. It is a medium sillage potion, and it seems to have an average longevity of a few hours (I'm sure that will differ from person to person). Pleasant, earns some attention but isn't groundbreaking in the least. Davidoff Adventure can be a safe, classic casual wear scent and not become cloying. A bergamot-citric opening is followed by a nonspecific-fruity drydown, which sports a mild influence of white peppers. The base combines a rather faceless woodsy impression with a copious lashing of white musks. I get moderate sillage, adequate projection and four hours of longevity on my skin. Generic, synthetic and bland, with a certain agreeable tediousnessg . An adventure in blandness. 2.25/5. I was in my local department store sampling some Versace Eros because it was on offer and I was interested. I had Eros on one wrist and just before leaving noticed Davidoff Adventure and sprayed it on the other. When I got home I couldn't help but admit to myself that despite wanting to prefer the Versace, the Davidoff just smelled better. So I purchased it instead. Yes I do enjoy this fragrance. It just smells pleasant and is unlikely to offend. To me it starts out rather generic (I get citrus) but right at the end of each sniff I get this creamy coconut which I just love. Then comes the disappointment. As has been mentioned by other reviewers this is a skin scent right from the off. I get next to no projection even after several sprays. I also get average longevity and while it lasts only I can smell it. The bottle is simple and neither adds nor detracts from my collection. In keeping with the theme it takes the form of a small flask. I would describe Davidoff Adventure right now as my 'handy' fragrance. I will wear it on days when I am going nowhere important or simply staying at home but want to smell nice. This is not a scent that I will be replacing when it runs out. A nice fragrance but rather pointless in the end. EDIT: Do not waste your time with this. It might as well not exist where performance is concerned. After further sampling this is also very generic and will provide nothing that cannot be found elsewhere. Poor from Davidoff. There must be a certain cynicism in calling this bland, standard-issue bloke juice Adventure. It’s got chemical citruses up front, and familiar sweet woody and spicy tones coming right behind, all done, it would appear, on a budget of pennies. Dreadful it ain’t, but if similar offerings were lined up, they’d circle quite a few blocks. After a few hours of wearing this stuff, associations of cleaning floors with lemony detergent are hard to ignore. There are no member images of Davidoff Adventure yet. Why not be the first? Davidoff Adventure / Silver Shadow...... Any Good ?? Would you buy Davidoff Adventure Amazonia?? Davidoff Adventure almost there.. but only almost. Allure Edition Blanche = Davidoff Adventure Eau Fraiche? 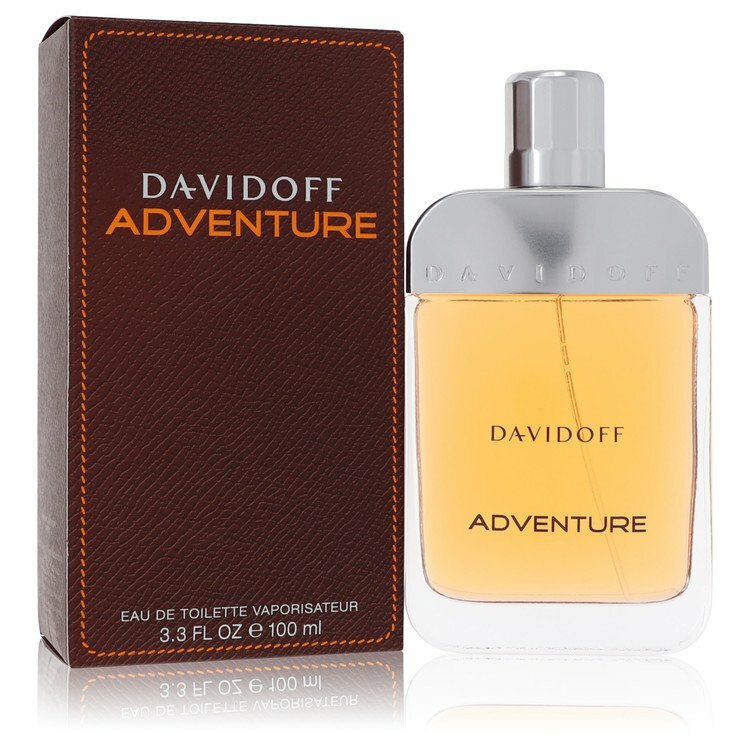 Fragrance that smells like Davidoff Adventure.